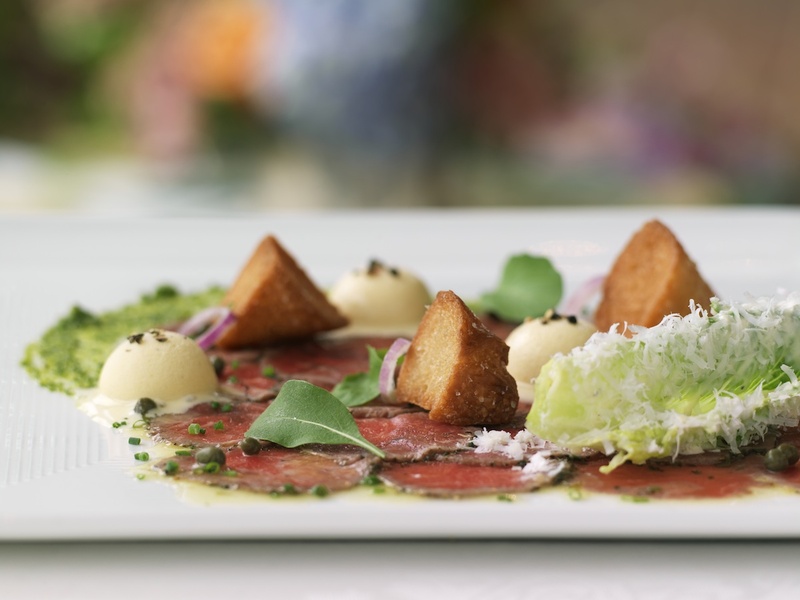 OpenTable is pleased to highlight the honorees in the MICHELIN Guide Chicago 2019. 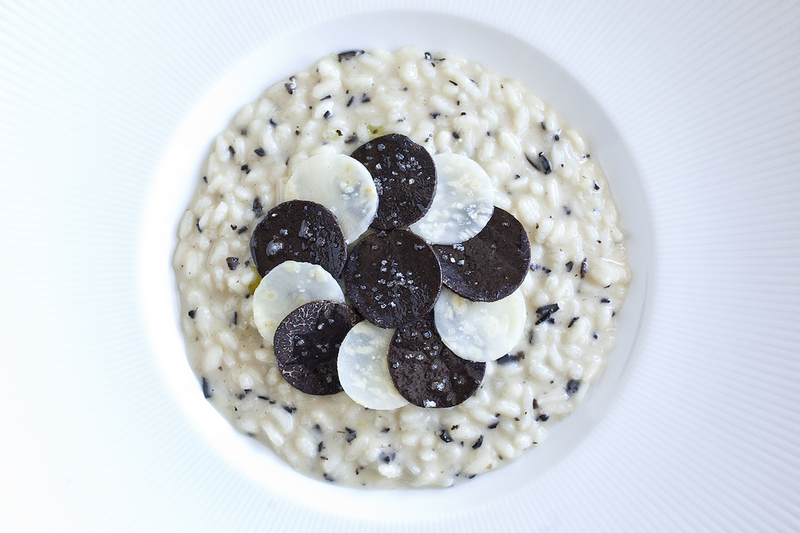 Twenty-two restaurants are included, with one Windy City restaurant receiving the Michelin three-star level, the highest recognition in the culinary world, and three achieving two Michelin stars, including Oriole. Eighteen restaurants earned one Michelin star, such as Everest (pictured above) and Temporis, which received its first-ever nod this year. Being included in the respected MICHELIN Guide is a sign of excellence and quality. In the U.S., the 2019 MICHELIN Guide is forthcoming for New York and San Francisco, and the stars for Washington, D.C. restaurants were released in September. Two stars: Acadia and Oriole. 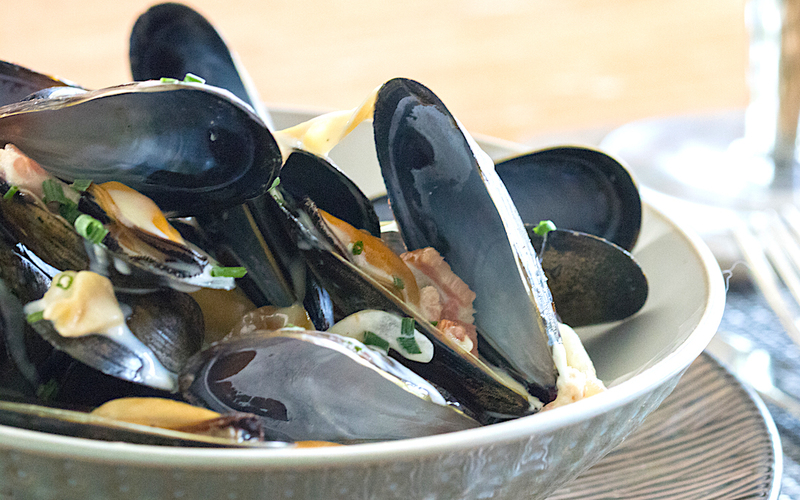 Thanks to ideal ocean climate, tidal patterns, clean water, and sustainable farming, Prince Edward Island is the biggest producer of mussels in North America. PEI is a province in the Canadian Maritimes and, in addition to those mussels, it is also famously known for being the inspiration for the classic novel Anne of Green Gables. These Prince Edward Island restaurants for PEI mussels have helped put the region and its beloved bivalves on the culinary map. 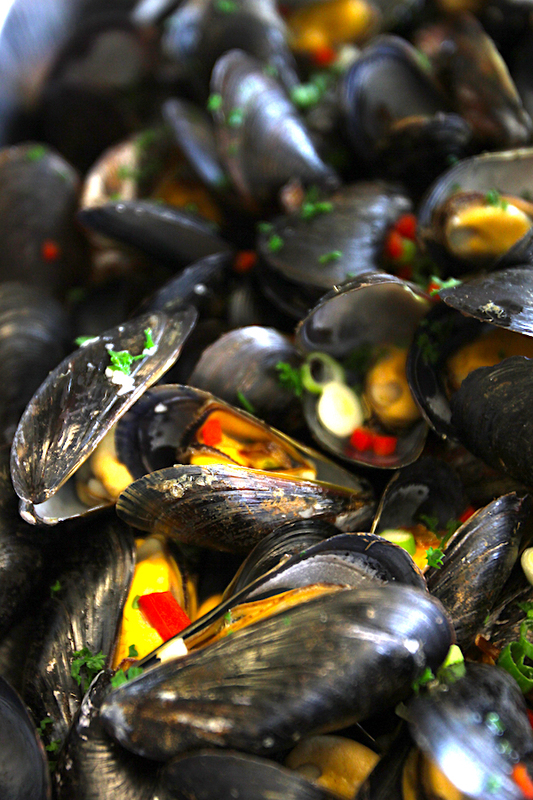 You’ll always find local fare at the buffet here, including those PEI mussels. The fresh mussels (which are delivered daily for the buffet) are cooked with a crisp white wine, shallots, garlic, herbs, salt, and pepper — and hothouse peppers and green onion are finishing touches. A three-tiered dining room, you’ll have views of all the action from any table. Pan rolls are also on the buffet, the perfect pairing to soak up the goodness. Make a reservation at Red Shores Racetrack & Casino-Top of the Park. PEI mussels represent at this hip and cozy spot with a walnut and birch bar. 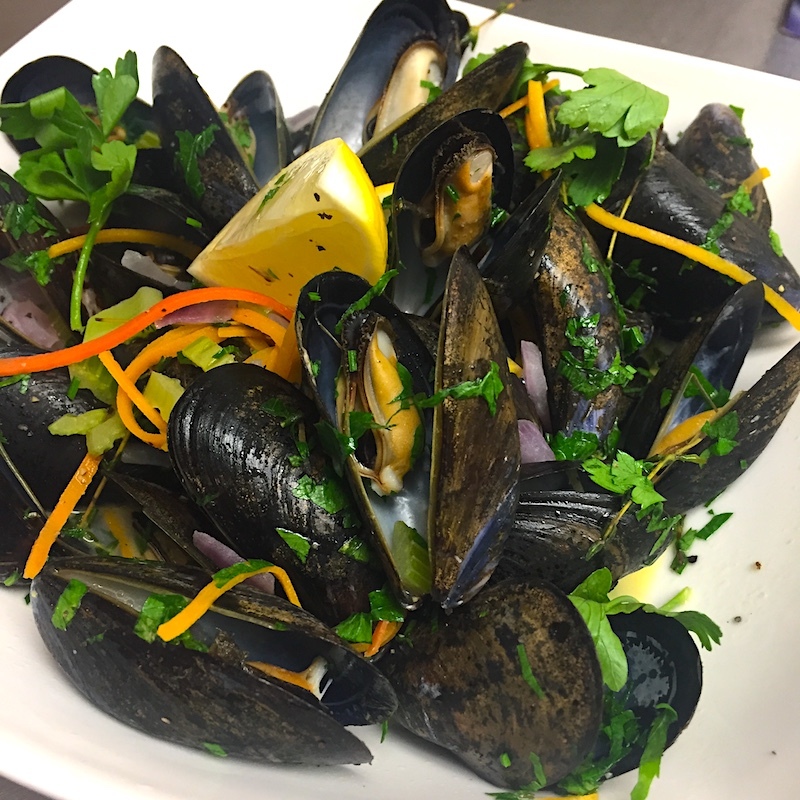 The mussels are steamed in white wine with roasted garlic, carrot, celery, and onion and punctuated with a pinch of fresh herbs, butter, and lemon. And PEI clams are also on the menu. Keeping it local: sip a rhubarb and gin tonic made with PEI rhubarb syrup or a craft brew from PEI Brewing Company. Make a reservation at Five Eleven West. A gem on the north shore of PEI, the restaurant is a looker with original artwork, chocolate leather chairs, an eclectic collection of tables, and an on-site garden where herbs and edible flowers thrive. The mussels are, of course, local and dazzle with roasted garlic, double-smoked bacon, Upstreet Commons Pilsner, and cream. You’ll also find those mussels in the Seafood Hodge Podge — a bisque with lobster, scallops, mussels, halibut, and clams. Make a reservation at The Pearl Eatery. We are pleased to highlight the honorees in the MICHELIN Guide Washington D.C. 2019. Sixteen restaurants are included, with The Inn at Little Washington receiving the region’s first three-star designation. Two restaurants earned two Michelin stars, and 13 were honored with one Michelin star. Being included in the respected MICHELIN Guide is a sign of excellence and quality. In the U.S., 2019 MICHELIN Guides are forthcoming for Chicago, New York, and San Francisco. This year, TIFF runs from September 6th to 17th, 2018. During that time, Yorkville, King West, Queen West, and the Financial District are ideal locations for those looking to dine out and possibly rub shoulders with celebs. 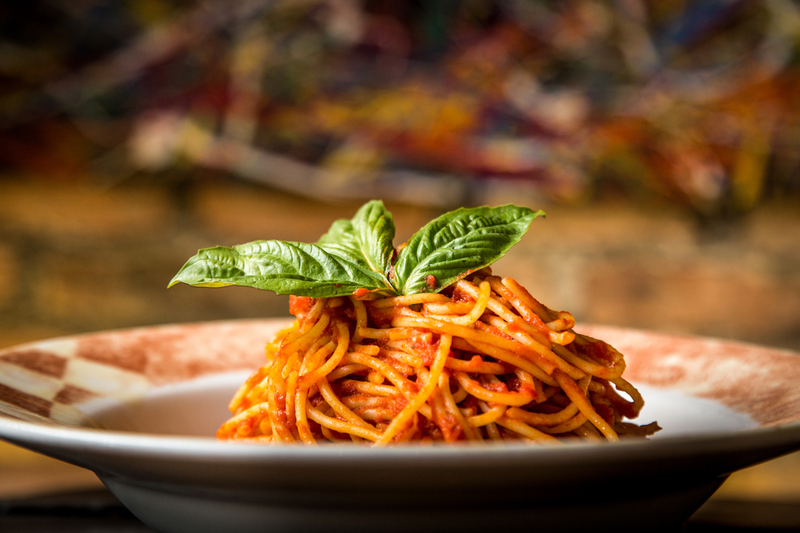 Restaurants with a view — Canoe and 360 The Restaurant at the CN Tower, — make appearances on the list, which also includes late-night hotspot Montecito, a collaboration with Hollywood director Ivan Reitman, gourmet vegan destination Planta, and pasta palace Cibo Wine Bar (pictured).